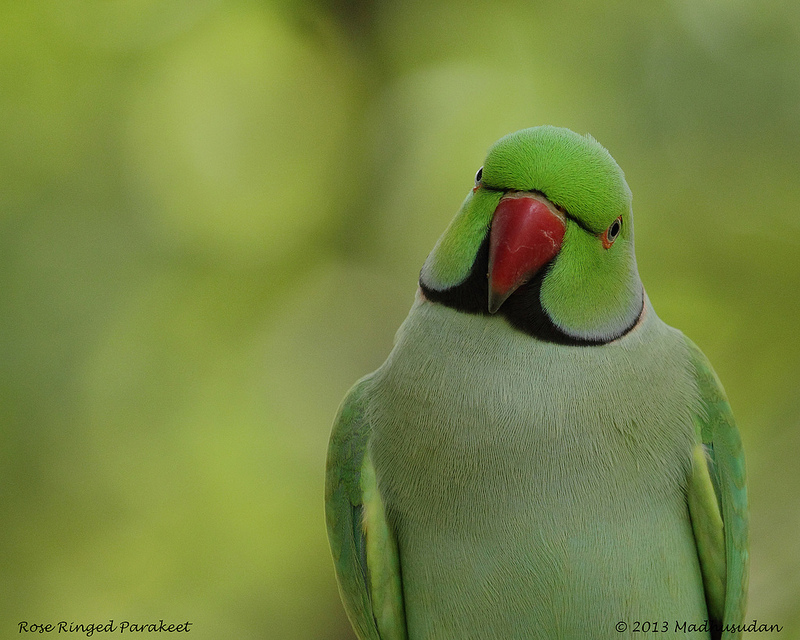 The Rose-ringed Parakeet (Psittacula krameri), also known as the Ring-necked Parakeet, is a gregarious tropical Afro-Asian parakeet species that has an extremely large range. Both males and females have the ability to mimic human speech. First it listens to its surroundings, and then it copies the voice of the human speaker. Some people hand-raise Rose-ringed parakeet chicks for this purpose. Such parrots then become quite tame and receptive to learning. They can also show emotions similar to human beings and adjust easily to family life. They take time to mimic. Almost like its posing 🙂 great capture. This parakeet seemed to be saying hello! What a great capture. Enjoy! Reblogged this on Travelling around! .